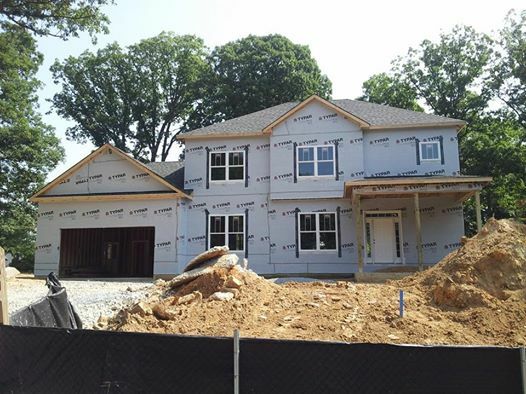 We hit a big milestone yesterday — the house is now “dried-in.” That means that the roof is shingled, the house wrap is on, the doors and windows are in, and the house is now protected from the elements. Weather shouldn’t impact our making progress at this point, which means that there’s a lot less risk to the schedule. The first three days of this week went right according to schedule, and it we’ve already gotten back one of the two weeks we lost earlier in the project. Unfortunately, the one thing that didn’t get done this week was running the new water and sewer lines. It shouldn’t impact the schedule, but that work is now pushed out to next week.